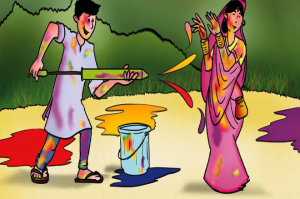 The gloom of the winter goes as Holi promises of bright summer days. 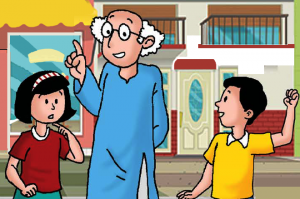 Grandpa is reading the newspaper while Anukruti and Atul are playing nearby. 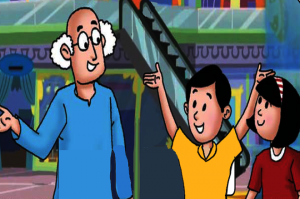 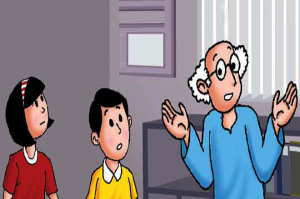 Riya and Rahul go to the mall with Dadaji. 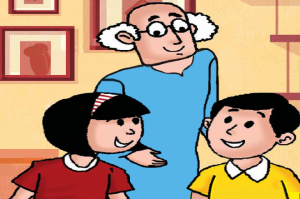 Riya and Rahul were reading a book and laughing when Dadaji joined them. 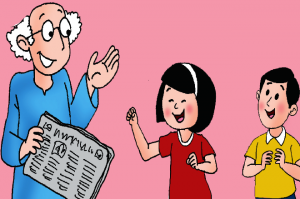 “Empower woman, empower the human community.